Bugis Street, in the 1950s, was renowned internationally for its notorious night activities where flamboyantly dressed transvestites would parade themselves attracting sailors and military personnel on their Rest & Relax. The entire street came alive in the evenings as push carts gather offering a wide selection of cheap goods and hawker food, hence earning its "Pasar Malam" namesake, or otherwise known as Night Market. Bugis Street has transformed into a unique retail shopping location. 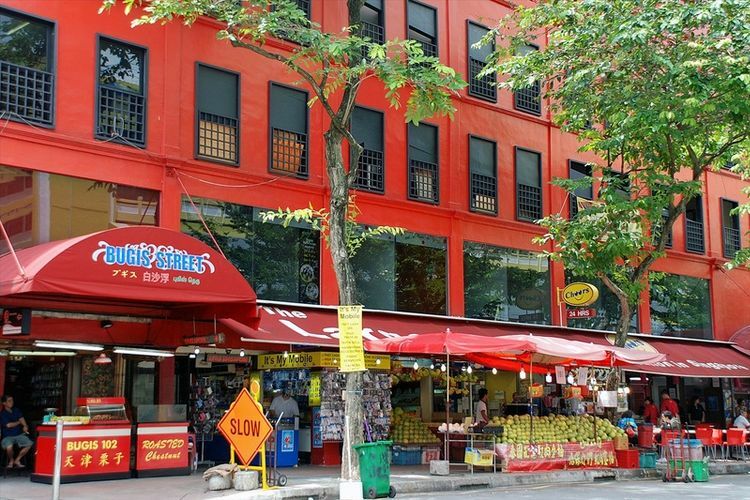 With a vast and dynamic product mix, Bugis Street is well known for its wide selection, competitive prices and quality merchandise that cater to anyone and everyone.